Dogs make wonderful pets. They are great listeners, very loyal and loving companions. Many people say their lives would be empty without their dog. Pet parents take their canines everywhere and enjoy their mere presence. Owning a dog, however, can be more beneficial than simply making you happy as a reliable companion. There are multiple health benefits that dog ownership provides. Obviously, when it comes to medical treatment such as surgery or physical therapy to rehabilitate an injured limb, there is no better alternative than an experienced surgeon in a sterile operating room with lots of assistance or an equipment-filled room with a reputable therapist on hand. However, according to experts and research studies, there are numerous medical conditions or impacts to one's health that a dog can have a positive influence on. Isn't it amazing that a variety of serious conditions and life quality issues can be helped simply by choosing to become a dog owner? Adopting a dog and adding another member to the family can be a great way to bring life to the house and joy to the occupants, as well as improving physical and mental health of those around. Below we're listing 15 ways how dogs are better than doctors and how they improve one's health. Epilepsy. Dogs may be able to detect epileptic seizures before they happen and assist humans during epileptic seizures. Individuals with epilepsy who own dogs have reported their dogs warn them prior to a seizure, alerting the owner to the onset of a seizure before it begins. There are also groups that attempt to train dogs for service purposes. These canines are called Seizure-Alerting Dogs (SADs) and are supposed to alert their owner to a seizure before it begins, as well as protect the individual from harm during the seizure and provide comfort as necessary – especially to younger epilepsy sufferers. There are specific dogs that specialize only in assisting owners after the seizure has taken place, and those are called Seizure Response Dogs (SRDs). Even though this has been observed many times in the media in the past, the evidence are still anecdotal for the most part. This talent that many dog breeds may posses is currently under the “investigation” by the researchers and we need to wait for more conclusive evidence before claiming this to be a fact. In the meantime, we know that most dogs will usually react to owners who have psychogenic non-epileptic seizures (PNES) which is often mistaken for an actual epilepsy. However, even if the dog cannot truly warn of an impending seizure – which still remains to be concluded – the dog can provide important assistance during and after a seizure by protecting the individual from further harm. A dog can also be trained to remind the individual to take vital medication that prevents seizures from occurring. Should people with epilepsy have untrained dogs as pets? Can Dogs Sense When You're About to Have a Seizure? ADHD. Dogs can help children and adults with Attention Deficit/Hyperactivity Disorder by helping to focus on a single task. Attention Deficit Hyperactivity Disorder (ADHD) is becoming more common not only among children in America, but even among adults and in many different countries. However, children with ADHD in particular need to learn responsibility and the importance of completing tasks as this is a vital pathway to learning. Experts are now talking about how with a dog in the home, the child has a living being that they love to show them the consequences if the animal is not fed or taken out on time, which in turn combats symptoms of ADHD. Having a dog also allows the child another playmate, as children with ADHD tend to have excess energy. They also can have higher stress levels due to the disorder. These can be alleviated simply by having a dog in close proximity, as discussed earlier in the article. Further research has also demonstrated that having a dog around can provide a therapeutic strategy that will improve and enhance cognitive-behavioral interventions for kids with ADHD. Cancer. Specially trained canines can sniff out many different types of cancerous growths in humans in their earliest stages. Multiple studies have repeatedly shown that dogs can alert people to the presence of cancer in their bodies. The dogs' amazing sense of smell – which is 100,000 times more acute than that of humans – can pick up on volatile organic compounds, or VOCs. These VOCs can be caused by the presence of cancer a human's body, allowing dogs to be trained to sniff out cancer sufferers. Studies have shown that certain breeds of dog are better at smelling the indications of cancer than others, while specific individual dogs can be better at this job than others, regardless of their breed, with some canines detecting over 500 cancer cases. Therefore, it is a trial and error process to find a dog that can be used for this endeavor. However, once a successful dog is found, they can be trained to smell various forms of cancer, from breast to bladder to skin, lung, prostate and colorectal cancers. Italian researchers have found that dogs can sniff out prostate cancer with 98-percent accuracy. This process means a dog can simply diagnose cancer with their sense of smell. No doctor has yet been able to accomplish anything similar without going through a multitude of tests. This opens up a world of possibilities in future cancer research and prevention. However, the method is still unpopular among many pet owners, and most will opt-in for a visit to their local clinic, where they require multiple tests and analysis of data before they can conclusively tell you that you have cancer, where it is located and the size of the mass. Sniffer dogs as part of a bimodal bionic research approach to develop a lung cancer screening. Can dogs detect the smell of cancer? Smelling the diagnosis: a review on the use of scent in diagnosing disease. Bone and Muscle Strength. Having a dog can help pet parents maintain stronger bones and muscles. Continuing on the same note, there are far more benefits to regular exercise with your dog than prevention of heart problems alone. As noted above, being a dog owner increases your likelihood to exercise more on a daily basis and therefore maintain a better overall health. As dog owners, we don't always find our pets' desire to go out at the most inconvenient times too amusing (binge watching Game of Thrones? ), but having a dog that bugs you to go outside and requires you to walk them several times a day will no doubt improve several factors of your own health. The additional benefit of having a dog and taking those regular walks two to three times per day for at least 30 minutes is that it's good for your bone health, according to more studies. Dog owners that take their pets for regular walks tend to spend roughly an hour more on exercise than non-dog owning individuals. They also tend to reach greater range of motion due to their tendency to spend more time on walks and exercise while playing with the dog. Obviously, owning a dog does not directly relate to stronger bones, therefore you still need to make an effort by spending time outside with your Fido. On the bright side, having a set of strong bones is going to be your first weapon against an ageing body and fighting osteoporosis. On top of that, not only are daily walks with a dog considered a weight-bearing exercise for muscle, and bone strength and density, but it also provides owners with more opportunities to get out into the sun, which raises your body's production of vitamin D, necessary for healthy bones and for an improved mood. Heart Health. There's a direct link between dog ownership and healthier heart, less chance of a heart attack, quick recovery from a heart attack and increased longevity after a heart attack. Keeping your heart healthy is partly a process of eating right and partly getting the proper amount of exercise. One's genetics also play a role in how well the heart will function throughout their lives, but there's very little that you can do to alter your own DNA, thus providing you with more reasons to emphasize healthy diet and regular training. Exercise, which is one of the most important parts of good cardiovascular health, is often negated by many. But if you can add just a little exercise to your daily schedule, this will significantly decrease chances of becoming a victim to heart attack or a multitude of other heart related health issues. Luckily, if you're a dog owner, you're almost automatically elevated from the category of patients with a potential to a heart disease, according to multiple studies. The chance of getting enough exercise among dog parents is twice as high as it would be for those who do not own a dog. Having a furry friend that reminds you at regular intervals to tie your walking shoes and head out the door, and holds you accountable for never missing these walks, is a great incentive to meet that exercise schedule and keep your heart in good health. The American Heart Association have said many times that the choice to own a dog means good things for cholesterol levels (it lowers them), stress levels (it lowers them as well), and it even decreases the risk of obesity (check the first article in the references below for a multitude of scientific evidence). Therefore, owning a dog is better than regular visits to the doctor because the dog can positively reinforce your fulfillment of a regular exercise schedule. It is quite possibly the easiest way to keep yourself on a schedule for regular walks which is a better source of cardio training than no exercise at all. An apple a day may not keep the doctor a way, but spending time with your Fido outdoors on a regular basis certainly will. You will also have a higher chance of surviving after a heart attack, according to another study. “A 2001 study looked at 48 people with high blood pressure and high-stress jobs who agreed to adopt a dog or a cat if so asked. Half did, and six months later those who got a dog or cat had significantly lower blood pressure when stressed. Chronic Pain. Dogs help their owners to alleviate symptoms from certain types of chronic illnesses as well as take away their mind from the pain. Research shows that chronic pain is becoming a common and major health issue not just among Americans, but in most other countries, too. But recently, more people have claimed the fact that their pets and particularly dogs have helped to relieve their chronic pain issues. Some pet owners can tell you that their dog senses when they have a flare up of chronic pain, such as arthritis pain, or an episode of migraine. These owners can lay down and typically, their pet will join them. The physical contact with the dog can provide comfort via their body warmth. The heat from their presence, in addition to providing comfort, can actually help relieve some of the pain associated with the flare up of certain conditions. Studies have shown that dogs actually do help with serious health conditions such as fibromyalgia. Efforts are currently being made to make a certain breed of Mexican hairless dog (the Xoloitzcuintle, or Xolo for short) become service dogs for people with conditions like fibromyalgia, where the intense body heat from the dog helps alleviate chronic pain associated with the condition. Animal-assisted therapy for chronic pain sufferers is gaining more traction with science providing that therapy dogs can significantly reduce pain and emotional distress for patients with chronic pain, including children patients. Are Pets and Chronic Illness a Good Match? Depression. Dog ownership has been proven to heal depression, lessen symptoms of a depression and even prevent depression, as well as improve overall mental health. Alleviating depression with the help of dog ownership is arguably the biggest benefit of adopting a puppy. Those who have never gone through symptoms of depression may not be aware of how crippling this mental disorder can get. Depression is extremely disabling socially and, surprisingly to some, even physically where it can become worse than many chronic pain illnesses such as arthritis. Fortunately, our canine companions are there to assist us. Here's a cool slideshow with stories from depression patients on how dogs help them cope with this disease. Depression affects 14.8 million Americans each year, or roughly 6.7-percent of the population. With that many sufferers, it is important to find means to address the issue. Becoming a dog owner is a simple way to help alleviate symptoms of depression. Studies have found this to be true a while ago and further research has only confirmed the suspicion that pets – and dogs in particular – help to allievate depression pain. When patients with the symptoms of depression seek professional help, doctors may be able to diagnose the case of depression and prescribe medication or therapy to help deal with the issue. However, most medical professionals would not be able to help a patient to decrease levels of depression without an assistance of drugs that have an abundance of negative side effects. Choosing a dog as your first tool to fighting depression is the best decision a future pet owner can make, because the side effects of dog ownership outweigh those of taking pills on a daily basis. Studies have shown and many dog owners themselves have reported anecdotal evidence that spending between 15 and 30 minutes with their Fido increases their sense of calm and helps wipe away stress. Science agrees with these claims, because what happens when you're spending time with your puppy is dopamine and serotonin processing in the brain are increased, which are the primary tools to fighting symptoms of depression. Oxytocin is another hormone that plays a huge role for patients with depression, and research has shown that dogs increase oxytocin levels in people with pets, and particular dog owners compared to other animals. Rheumatoid Arthritis. Becoming a dog owner can help to deal with symptoms of RA and may even prevent RA altogether. With most health conditions, it is easier to do the therapy or required treatments if you can think of other things. 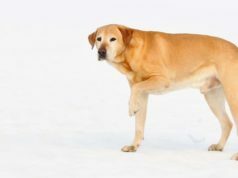 When it comes to Rheumatoid Arthritis, owning a dog can do assist with this in two ways. The first thing that comes to mind, similarly to how dogs benefit patients with heart conditions, is that dogs make you get outside and move. Some of the games you play with a dog – like throwing a ball or Frisbee – work your joints and help alleviate some of the pain associated with arthritis. As more animal-assisted therapy studies have shown, dogs are also a great distraction in general. For those suffering from the pain of Rheumatoid Arthritis, having a loving, fuzzy face pushed into yours at regular intervals makes for an ideal distraction. Dogs are big on asking for attention or doing things that generate a laugh, making for great entertainment. Dog owners find themselves completely forgetting any pain they are in because their furry friend has given them something else to focus on. Further research on pet-assisted therapy for patients suffering from Rheumatoid Arthritis as well as many other diseases is on the way as more cases report positive results. However, it's important to note that some other research has found a possible link between pets and causes of RA, although these results are far from conclusive and most experts argue that the link is too weak to make any claims yet, but there is such a possibility, although primarily associated with owning cats and birds as pets. Either way, more studies are still needed for a definite conclusion and so far, we've seen more positive results than negative with Rheumatoid Arthritis patients with dogs. Social Interaction. Dogs help people with social interactions as well as assist those with social anxiety disorders. Scientific evidence shows that there are more than one way how owning a dog can be great for your social life, too. First of all, owning a dog gets you out of your home more often, which is what we have established in the Heart Health section above with evidence to scientific research. You have no excuse to avoid leaving your residence when your dog needs to go to the bathroom and needs to work off some energy through regular walks or trips to the park. Hiding in the house is impossible. If you are lucky enough to have a big backyard, you don't have to go far from home. However, even venturing into the backyard can be a social opportunity if you have neighbors close by, and research shows that dogs are a great tool for social interactions of this sort. Secondly, if you want to use owning a dog to your advantage, there are plenty of ways to be social through your dog. Taking your dog for a walk on a well-used trail or venturing to a local park to walk or a dog park to allow the dog to exercise provides ample socialization opportunities, which has been proven in science. There will be tons of people at a park, on a trail or at a dog park. Most people who own dogs like to fawn over others, and dog park visitors are always willing to discuss their pets and yours. Venturing to a park for a walk, meanwhile, will put you in close proximity to a playground or ball field, where children who love to pet dogs will be located and their parents will be nearby – more socialization opportunities and plenty of chances to meet new people. Using your dog to be more social means lower risks of mortality and possibly longer lifespan. Doctors can give very clinical advice when it comes to improving your social life. However, they cannot be your ice breaker or give a boost to your self-esteem simply by being with you as you attempt to socialize, unlike dogs. Health Benefits for Seniors. Elderly people who adopt dogs have seen major physical and mental health improvements. Becoming older means you need to focus on staying healthy, moving as much as possible and staying positive and busy. Being a dog owner in your later years helps you to do all of the above with no conscious effort. Even if your dog is aging with you, the dog still needs to go to the bathroom and exercise enough to avoid obesity. This keeps the dog owner moving as well, which in turn has an abundance of positive effects on one's health evidence for which we have examined above. For those who live in assisted living facilities, regular visits from therapy dogs has been shown to increase mood and help extend the life span of the residents. Normally, older residents will look forward to the regularly scheduled visits, and a short visit with a dog means all the benefits of spending time with a canine companion without the need to keep up with the feeding and care of the animal. However, there are even more benefits for elderly people that a dog can provide. Dogs may help elderly patients with Alzheimer's, reasons for which go back to our discussion on dogs and social interaction. On top of that, simply walking the dog on a regular basis and engaging with your neighbors or other dog walkers around can significantly decrease the chance of developing Alzheimer's disease, which means pet ownership is a perfect tool for prevention against Alzheimer's, dementia and similar mental disorders. More positive reports from patients who work with service dogs (or dementia dogs) are showing up online, which is a good sign for those thinking about adopting a puppy and spending their elder years in a company of a loyal animal. We've encountered reports on how dogs help with multiple sclerosis among elderly patients as well as help to deal with additional stress. Based of the several studies on dog ownership among elderly people, the experts are working on developing facilities and services with dogs who specialize in assisting elderly and other patients with different types of mental health issues. Interaction with dogs seems to have more benefits for seniors than the researchers have imagined as they now find several additional perks to becoming a dog owner in your older years. General Mood. Dogs can improve their owners' mood through lowering levels of stress hormone and increasing levels of happiness hormone. More studies have shown how pet ownership can lower your blood pressure which in turn alleviates mental stress. Another study the relationship between oxytocin and dog ownership was done, and the results have shown that pet owners had a significantly improved mood from interacting with their dogs, especially after gazing into their pup's eyes. Experts on PTSD are also pitching in on this subject to express their findings. They have reviewed a good chunk of scientific evidence to conclude that dogs may help not only with Post-Traumatic Stress Disorder but lift the mood of dog parents in general. Dog owners understand the effects pets have on them, and appreciate the positive impacts the simple presence of their dog has on their lives and general mood and well-being. This is a factor that cannot be easily explained to those who see a four-legged being that sheds, drools and needs taken care of rather than another living being that loves and helps you feel better, but the science has certainly tried, mainly studying therapy dogs. It is now well-recognized by animal lovers and the medical community alike that having a dog can mean a better overall mood and improved quality of life. Health Benefits for Kids. It's been proven that children who own dogs experience multiple major physical and mental health benefits. When it comes to children and dogs, the list of scientific research is endless. Most of the current studies show how pet ownership provides major benefits for families with kids. For example, some studies have shown that children who live with pets are far less likely to develop allergies to pet dander, according to the experts. They also are less likely to suffer from asthma, according to more research and this paper in particular. Mental health is also improved among teenagers and not young kids alone. Studies have also shown that a certain bacterial colony within the digestive system is responsible for protecting against allergies and infections of the airways. When a dog is present in the residence, an infant is exposed to dust that increases the presence of these particular bacteria. This then decreases the chances of serious health issues like Respiratory Syncytial Virus, or RSV. The dog is a carrier of various microbes from the outside. When it moves regularly between inside and outside, it not only keeps the dust and microbes within the home stirred into the environment, but it also introduces new microbes. This creates a variety that the infant is exposed to and creates new antibodies in their immune system as a result of that exposure. Moreover, having a dog in the home tends to help improve the overall immune system of kids and infants. Children who have dogs are found to have better immune systems as they get older, making them better able to handle illnesses and decreasing their number of sick days during school or work. Finally, more studies show that having a dog at home will likely improve your kid's physical health and their heart condition. Of course, one of the most popular reasons why majority of future pet owners seek out to adopt a dog for their kids is to help assist with cases of autism and social anxiety. Thankfully, multiple studies have shown how dogs assist children with autism, particularly the fact that dogs can decrease the level of cortisol in autistic children (up to a staggering 48%) thus leaving them in better mood. The largest benefit from providing an autistic kid with a canine companion is social interaction, which help to deal with challenges imposed by autism among children. Due to the fact that autism is so common among children today, the relationship of pet ownership and autistic children is studied very actively with more and more positive results coming back. Independence. Dogs help people with a variety of different physical and mental disorders become more independent in their daily life. This particular benefit of dog ownership is widespread. Dogs can be trained to be service dogs, reminding people with conditions to take their medication, helping with tasks that people with certain conditions could not complete on their own or even helping individuals with Parkinson's Disease live on their own by completing tasks the person would not be able to do on their own. Normally, most of these pet ownership benefits will apply to elderly people; however, non-senior individuals who have issues with becoming independent within society can also highly benefit from adopting a dog. Being able to maintain your own independence is an important aspect for quality of life and general mental health, and research shows that dogs can definitely help with that. 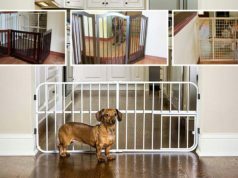 If you don't own a pet and it comes to admitting you are unable to function without the assistance of another adult, this experience can be a very depressing realization for individuals who are struggling with health conditions, thereby further affecting the condition in a negative way or building upon it. This, in turn, decreases life expectancy among many individuals because those people have a less positive outlook, higher levels of stress, increased chance for developing depression, more likely to avoid human contact and ultimately less of a reason to fight to live longer. There are many different areas where assistance dogs, service dogs, therapy dogs, guide dogs and other types of working canines can significantly improve one's quality of life by assisting them and helping these individuals become more independent. Whether it's a physical disability or a mental disability, science says that adopting a pet will usually result in a positive outcome. This is obviously an area where a doctor could not help an individual succeed, but a dog can. Doctors will normally refer people to assistance programs or help them find an assisted living facility, providing material on how to deal with these problems or give advice and programs aimed for tackling these issues. However, that is a lot of work that most individuals are unlikely to take on and where the results are never guaranteed. Fortunately, simply being partnered with a service dog can allow a person years of additional independence without these programs. The experience of owning a guide dog. Learning and Reading. Having a dog around has been shown to help kids learn to read; adults with dogs are also better at learning. On top of what has been said about dogs' ability to improve mental and physical health of children, researchers have also discovered that canine companions can assist kids in learning how to read. Reading is a skill that can be a challenge to develop, especially for young people and children of young age in particular with self-esteem or attention issues. Fortunately, programs that involve a dog and allow a child to read to the dog have shown to greatly increase a child's skills simply by providing a sympathetic ear via a non-verbal being. If you think about it, this isn't surprising at all. Simply by having a canine friend whom kids regard as an active listener, children are encouraged to practice reading out loud. Reading to a dog in a peaceful setting decreases the stress level of the struggling reader and provides incentive to accomplish the task simply to entertain themselves and the dog. The dog simply sits patiently and appears to be an attentive listener. There will be no hurtful comments if the reader mispronounces a word, however, when the listener is furry and four-legged. “If you have a dog, or any kind of pet for that matter, doubtless you’ve found yourself carrying on conversations with your animal. According to one expert, 48 percent of adults confide in their dogs. Sometimes it’s just easier to talk to a dog rather than a human. And when you gripe to your dog about your professor or the driver who rudely cut you off in traffic – you know they understand (well, sort of). That canine-human connection is being used to help young children read. Just as you talk to your dog, children like to read to dogs, and those with reading deficiencies are more comfortable reading to a dog than a teacher or parent. A doctor is invaluable in many situations. If there is a life-threatening injury or a necessary surgery to increase life expectancy or quality of life, there is nothing better than a doctor. However, it is simply amazing how many different ways a dog can improve your health, both physically and mentally. The greatest benefit of this is that you don't have to work at it, which otherwise would probably increase your level of stress, risks of depression and chances for developing other mental or physical disabilities. Having a dog around is quite possibly the easiest way to deal with multiple health issues in kids, adults and seniors.